The East Tennessee Symphony Orchestra welcomed a change in seasons with its fall concert “Dvorak and Tchaikovsky” on October 28, 2018. The free family-friendly event took place in the new Founders Hall at the Collegedale Commons located on Swinyar Drive in Collegedale. 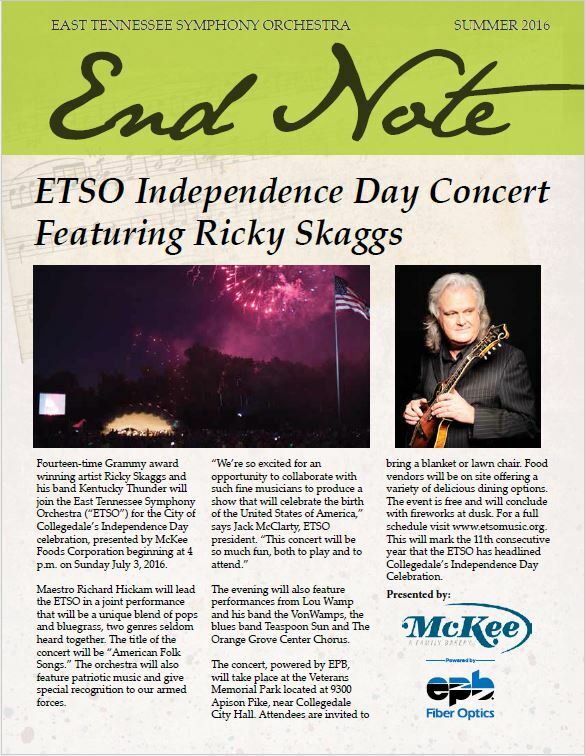 Learn more about future performances as the ETSO brings world-class symphonic music to the East Tennessee Valley.